The 51s beat Tacoma 8-6 at Cashman Field, sweeping the three-game series and pulling back up to .500 on the year. It was a night full of battles for Kevin McGowan. The 51s starter was falling behind hitters consistently and dealt with baserunners all night. 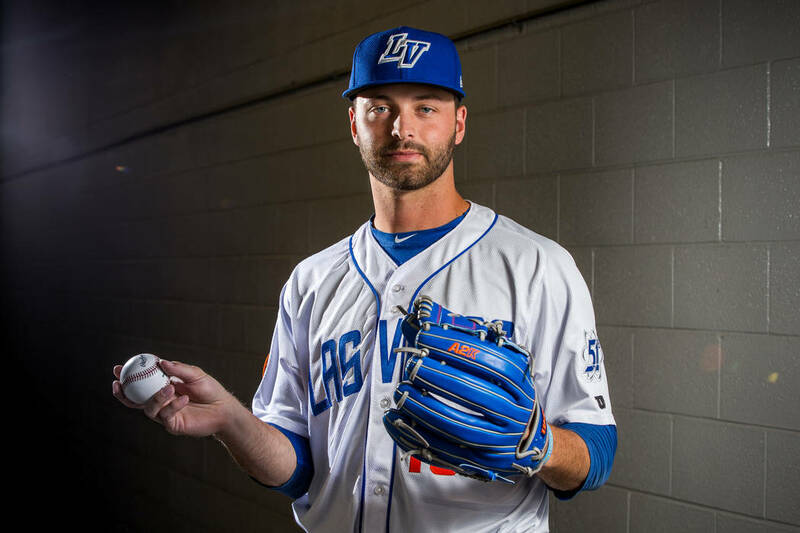 But he was able to limit the damage to keep his team in the game as the 51s beat Tacoma 8-6, sweeping the three-game series and pulling back up to .500 on the year. McGowan allowed a leadoff double to begin the game but was able to pitch himself out of that with three straight outs. In the second, he loaded the bases with no outs, thanks in part to a pair of walks, but he was able to minimize Tacoma (64-71), allowing just one run. And so his night went. But though it was messy, it was effective enough on a night where the 51s’ (68-68) offense was steady and consistent. Tied 1-1, Las Vegas pulled ahead in the third with four runs on an RBI single from Dominic Smith and home runs in the inning from Colton Plaia and Patrick Kivlehan. For Kivlehan, it was his third home run in as many nights and it was his 12th in the month of August and 19th on the year. “I can’t say enough, Kivlehan’s having a heck of a month,” DeFrancesco said. Las Vegas added another pair of runs in the fourth and one in the eighth. “We keep coming out swinging the bat early,” DeFrancesco said. On the night, five different hitters — Plaia, Kivlehan, Smith, Jack Reinheimer and Christian Colon — had two hits apiece. Kivlehan, Plaia and Luis Guillorme all drove in a pair of runs in the win. The 51s now have one more series left — four games against bottom-feeder Sacramento, which puts the goal of finishing over .500 well in reach.